List of new features on the Michigan Legislature website. The House and Senate 2017 Official Journals are now available and can be found on the Journals Page. Legislative documents previously not available from sessions prior to 1997 are now provided through a joint project with the Michigan Legislative Service Bureau and the Library of Michigan. Search for these documents through the Bills and/or Public Act pages. Substitute bills not linked in the bill history can be requested from the Library of Michigan through the Request a Substitute for a Bill page. .iCalendar files are now available for every meeting on the Committee Meetings Page. These files make it easy to add Legislative Meetings to your calendar. The Michigan Manual document collection has expanded to include the legislative information as far back as 1973. We're proud to present an expanded collection of Michigan Manuals. The document collection for this select group (pre 1999 Michigan Manuals) includes the pages pertinent to the Legislative Branch and currently goes back as far as 1987. The first in a series of 60 second video tutorials can now be seen on the Home page. You'll find these short clips near the topic of interest. Search the Michigan Manual across sessions back to 1999. An archive of the Michigan Public Acts is now accumulating every month, to capture the laws before they change and will be available to the public. Some substitutes coming out of committees will now be available linked within the history of a bill. Eastern Michigan University, Lake Superior State University, Northern Michigan University, Oakland University and Wayne State University were added to the 'Colors of Michigan' theme page. Logged in users who utilize the Notification System may be happy to know that there is now a printable report on the current status of the bills that you are watching. It can be found by selecting "Notify" from the logged in user menu, and choosing the "Status of Current Bills for this user" function, found under the "Notification Functions" on the lower portion of the "Notify" page. The Committee Meetings Page now offers 3 ways to see meetings. You can view them in a list, in a calendar by the week, or within the Committees on the Committee Page. Searching by category is now available on the Home page. This is a convenient option when you want to find bills of a certain category, even when that word, such as the word 'weapon', is not found within the body of the bill, but is in the description. As always, home page searching defaults the the current session. Remember to look at the Bills page when seeking a bill from a prior session. The House and Senate 2011 Official Journals are now available and can be found on the Journals Page. 2011-2012 Michigan Manual online version is available on the Publications page. Tool tips have been added to the Main Menu, which is the menu on left side of website. Now a person can get a general idea of the content of a menu item by pointing to the link without having to go to the page. See a sample of the new Bill Watch Summary report. This is a feature available to registered users. Use it to keep track of action that has happened on bills you are watching. Find this new report on the Notify page, which is a menu item that is available on the top menu bar after logging in. Then look under the "Notification Functions' for 'Bill Watch Summary'. Updated Glossary to make it easier to use. Added the description of the bills to the 'Most Recent Activity' report. Changed the 'Search Bills by Category' page by replacing long drop down controls with a radio button that allows easy viewing of all categories. Also added the total number of bills by category to this screen. Added the LOCAL GOVERNMENT FISCAL RESPONSIBILITY ACT to the 'Requested Repealed Acts' page. The House and Senate 2010 Official Journals are now available and can be found on the Journals Page. New Committees page. Watch for further developments to this page too! Date input is easier now because of the new calendar contols. The time of each meeting has been included in the list of Committee Meetings. Check out the new bill summary page! Great news! History actions on bills that reference amendments and substitutes will now be linked to these documents while they are the current version of the bill. When that document is replaced with a different version it will no longer be linked. When tracking legislation by the NEW notification type of district you can enjoy long term notifications that won't expire when a new session starts! Find out more about the legislative notification service by watching our NEW video tutorial on the subject! The 2010-2011 General Appropriation Bills Enacted Publication is now available on the Publications Page. House and Senate 2009 Official Journals are available on the Journals Page. Another new video about tracking the Committee Meeting rss feed is now available! Follow recent bill activity on Twitter! Two new videos explaining rss feeds can be found on the Legislative RSS Publication page too! RSS feeds are now available for legislative activity starting with the 2009-2010 session. Find the rss icon on the top of each bill and click on it to see the feed and copy the url into your favorite rss feed reader. See Senate Bill 1 or 2009 for an example. Executive Orders can now be searched by year for key words. Committee Bill Records from PRIOR SESSIONS are now being made available on the site. Find this new feature at the bottom of the Committee Bill Records page. Notify! now includes Enrolled Bills. Find out more about Notify! and other free services provided by the Legislative Internet Technology Team in cooperation with the Michigan Legislative Council, the Michigan House of Representatives, and the Michigan Senate. 2007-2008 Michigan Manual online version is available on the Publications page. See your ten most recently viewed items listed at the bottom left, under the main menu. Select a color from the color picker to customize your visit. When logged in as a registered user your selection will be saved in your profile for the next time you log in. If a bill succeeded in creating a Public Act, and that Public Act is currently in the Michigan Compiled Law, the bill status page for that bill now links to that portion of the law. Find this feature next to the Public Act number at the top of the bill status page. Now you can search for specific actions that have been taken on bills! Bill history items can now be sorted by date. Once you decide on a sort order the site will remember that order for the remainder of your visit. Repealed laws that have been frequently requested by website users are now being made available on the site. Find this new feature under the Laws section of the side menu. Daily Introduced, Passed By Chamber, and Enrolled page has been expanded to include full bill descriptions. The Bill Status (also called bill summary) and most supporting documents (Analysis, Calendars, Journals) as far back as 1995 are now available on the Michigan Legislative Website. It is no longer necessary to go to a seperate Archive Site to access these documents. Look for all page specific menu items, such as the printable version, the short link, "add to print basket" and "add to filing cabinet", at the top of each page. Prior to this new change, some of these page specific menu items were at the bottom of the pages they served. House Official Journal for 2006 is now available on the Journals page. Senate Official Journal for 2006 is now available on the Journals page. Three new layout tools have been added for registered users. View and manage your Personal Email Notifications, Filing Cabinet, and Print Basket on every page using these new layout controls. Find out more. New Survey! Please tell us what video overviews of the website you would like us to create for you. While mostly maintaining backward compatibility with our previous full text search syntax, we now support Google’s basic syntax standards, with which most users have grown accustomed. "Legislative Activity" and "How do I..." added to the home page, providing quick access to items of interest. The Legislature number has also been added to the site. "Adjourned Until" item added to the top of the website. New 2007 Legislative Telephone Book available. See the publications page for an order form. Video overview "Overview of the Committee Bill Record Search Page" is available on the Help page. It is now possible to be automatically notified of changes to sections of law. This is an addition to the many other options already available. Learn more about the Notification System, which is a free service provided by Michigan Legislative Council, the Michigan House of Representatives, and the Michigan Senate. A "Printable Version" button has been added to the Committee Bill Records page. Use this printer icon at the top of the page. Hint: This report looks best when printed in landscape mode. A Citizen's Guide To State Government / First Glance has replaced the prior version of this document on the Publications page. The 2006 Michigan Taxpayer's Guide has been updated with the 2007 Michigan Taxpayer's Guide on the Publications page. The last history action for bills and resolutions is now included in the nightly notification reports that are sent to registered users who are utilizing this feature. The Committee Bill Records Page has been updated! Choose from or combine a number of criteria to search and sort on, including sponsor, committee, and whether or not there is a meeting or status associated with the record. When Committee Bill Records begin to arrive on the website for the 2007 session, you will see this new feature by first selecting a Committee Bill Record from the list of Standing Committees. Michigan Public and Local Acts for the years 2002, 2003, 2004 and 2005 have been added to the Publications page. House Official Journal for 2005 is now available on the Journals page. Senate Official Journal for 2005 is now available on the Journals page. Status pages for resolutions from 2005 forward now display introduced version documents (for the House) and the adopted version documents (for both the House and Senate). For resolutions prior to 2005, please continue to refer to the journal linked in each resolution's history. 2005-2006 Michigan Manual online version is available on the Publications page. Video overview "Overview of the Bills Page" is available on the Help page. Registered users can now easily check the status of their email address by visiting the Notify page (only available when logged in) and viewing the status message next to the email address. If your notification emails have been bouncing back to us, the status will indicate INACTIVE; to see the reasons why, click the Bounced Email Status link under the Notification Functions section of the Notify page. Video overview "Searching for Bills from the Home Page" is available on the Help page. Short, safe-to-paste links are now provided for most pages within the site. If you need to copy and paste a URL into an email or instant message, click the link icon next to the page header and follow the instructions given. An "Add Checked Items to Notification" button has been added to the registered user Filing Cabinet page, making it simple to sign up for email notification of updates to items in your filing cabinet. Contents of the Filing Cabinet are now automatically alphabetized. Also, new formatting and default values make this feature easier to use and understand. Find out more about the filing cabinet, or find out more about notification. The most recent history item has been added to the result list of bill searches, so it is no longer necessary to open each bill to determine the last activity on the item. The Daily Introduced, Engrossed and Enrolled Bills page now returns the first several characters of the description of each bill, so it is no longer necessary to open each bill to determine the nature of the bill. An RSS 2.0 XML file has been provided on the Bills page for syndication of bill updates. An option to receive plain text notification emails (as opposed to Html emails) has been added to the Notify page. Note that you can only access the Notify page when logged in with your registered username and password. The ability to search Committee Bill Records by key word has been added to the Advanced Legislative Search page. Search result limitations have been removed. History items on the bill status pages now link committee names (as in "referred to committee on...") to their Committee Bill Records. When a link on the site has been "visited" it will change to a slightly different color to help with site navigation. Registered users now have the option of being notified when bills they are watching have analysis files submitted to the site. The Search Introduced, Engrossed, and Enrolled Bills page can now be queried using a date range or a specific date. This essentially provides a "Currently Enrolled Bills" report, among other things. A "Printable Version" of most pages in the site can be accessed by clicking on the new printer icon at the top of the page. 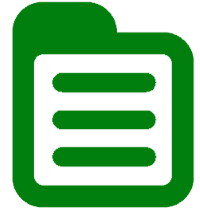 An MCL document outline, or "index", is available, and can be seen as an index icon at the top of MCL pages. Bill searches by category and by detailed category can take multiple categories. The result of a search using multiple categories/detailed categories will be only those bills that belong to all of the selected categories/detailed categories.